In fact, the vine can be grown with excellent results over a very wide array of climates, and can even resist the intense cold encountered at the 50th parallel. One of the primary mechanisms developed by the vine is the ability to respond to external influences and to synchronise its own growth stages with the most favourable external environmental factors. For example, during the winter, the vine enters what is known as dormancy, a period, that is, of non-activity during which its metabolic functions are significantly slowed. The vine’s exit from dormancy occurs only following its experience of a certain period of cold temperatures, called the “chilling hour requirement”; this term refers to the number of hours of low temperatures required before the vine will interrupt its dormancy and allow the buds to open in the spring. This synchronicity between the vine’s growth stages and the rhythms of the growing season is crucial, to prevent the premature appearance of the green tissues of the leaves and shoots, which are very delicate and could be easily damaged by frosts. 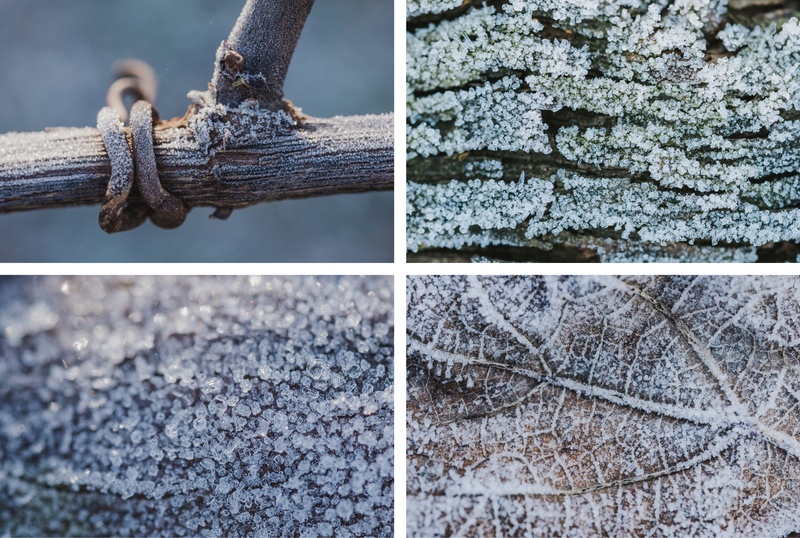 During the winter, on the other hand, a frost does not harm the vine, which is completely lignified after the previous season and therefore cold-resistant. The correct proportion between winter cold and spring and summer warmth is of fundamental importance for regulating vine growth and for ensuring the quality of its future crop. Neither of the two factors may be neglected and neither may predominate over the other in this duet of balance that developed over the millennia to achieve the vine’s perfect synergy with the terroir in which it grows, a synergy that will be eventually reflected in the wineglass.